Montgomery fumbles, recovered by the Rams. Aaron? So the Rams win. Maybe now they can afford to get some better paint for their field. And one last highlight from this game. On the Rams ensuing possession, Gurley iced the game by staying out of the endzone so the Rams could kneel out the game and, again, not give Rodgers a glimmer of hope. And sports bettors and fantasy managers went crazy. Time for some HFFL action. It took 8 weeks, but Dan finally populated his L column! Nerd Herd came in and crushed Guy Grenouille, holding the top dog to only 74.2 points! 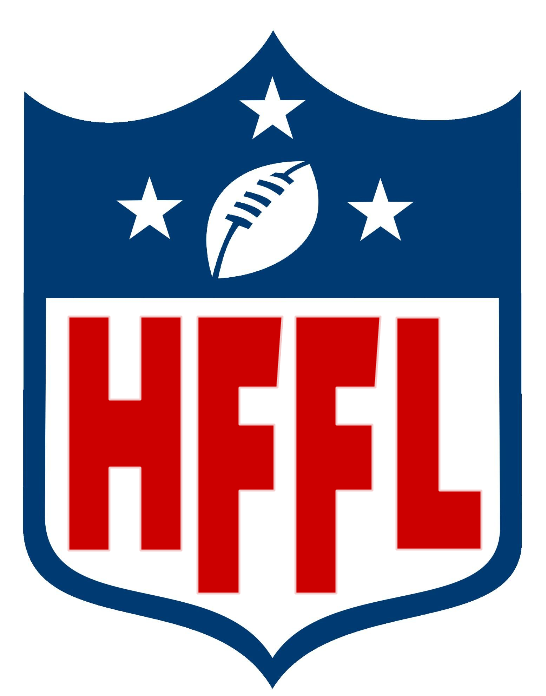 That means that there are no undefeated teams left in the HFFL universe thanks to Bob and company!! I guess that’s what happens when Drew Brees only scores 7.8 points. For Fantasy Mr. Fox, the season got off on the wrong foot. But now Luke has rolled up a 5 game winning streak! This week he got past Trubisky Fanboys by less than a point to keep the streak going! Elsewhere, the Limbs have a 3 game streak going after blasting the Boxers. The Limbs defense is stout as opponents are averaging only 87 points against them – a league low. The top teams all won again this week (with the exception of DIDDY). Eh Team, Snappy and Grounds all held serve atop the leaderboard. And that means that the bottom half of the standings (with the exception of Eric’s squad) took L’s. Can anyone from the lower decks start putting some wins together and crash the party in the ballroom? HEADLINE: He’s got the moves! Looking over the leaderboard for the PL, one thing stands out. It’s not the fact that we’ve got 5 teams at 4-4. No, it’s that Kevin has made 26 roster moves, 9 more than the next closest manager! And there he is, sitting in 3rd place. Coincidence? I doubt it. The pastor’s team has now won 4 in a row and has moved ahead of Minor Prophets for the top spot on in the standings! To get there, he had to take down last weeks HFFLUBTotW – Pyramid of Greatness. Must be nice to have Jared Goff and James Connor on your team. Especially when the vaunted Ravens D gets you -4 points! The Cieras primed for a strong finish to the season. It took until week 8, but Liam’s Dream Team finally has their 1st win of the year! Liam obliterated Ben’s Besties with 111,56 points. Watson contributed 30.96 to that total. Looking at Liam’s roster, there’s really no reason he can’t rattle off a few wins here. But as we all know, sometimes the first one is the sweetest. Nerd Herd! The HFFL veteran rose up this week and laid the smackdown on the undefeated Guy Grenouille in the LOC! Not only did he score over 100 points, he held one of the highest scoring teams in the HFFL to only 74.2 points! Amazing game from Bob’s team this week. The way the NFL schedules bye week gives my analytical brain fits. Why can’t we balance it out?! This week, we’ve got SIX teams on byes. Cardinals, Bengals, Colts, Jags, Giants and Eagles are all idle this week. And that means that almost everyone will need to do some work this week to plug the holes in their lineups. Work those wires, people! You also still have until November 10th to execute trades! Thursday night this week will have the Raiders at the Niners! Two teams that have 2 wins between them! Huzzah? The regular season is entering a critical stretch now! Keep fighting, men!